The following is a re-edit of a piece posted by MotorMartin on DriveTribe under The Junk Yard banner run by Tony Yates, perhaps better known as @Xinterceptor. The original Fiat 500, known in Italy as the Cinquecento, was a genuine car for the people, built to help mobilise a country still feeling the after effects of World War II. Between the years of 1957 and 1975, Fiat continued to produce their popular little car under various different guises until replacing it with the less popular Fiat 126 in 1972, a few short years before the 500’s eventual retirement. 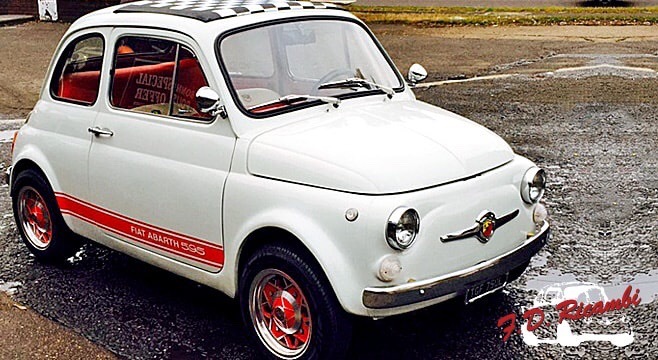 Launched in July 1957 and designed by Dante Giacosa, the 500 had an instantly recognisable shape which allowed it to become instantly recognisable amongst its more generic competition. Small, perky and economical, it really is no wonder why the Fiat is now considered to be a genuine classic, ranked alongside the Austin Mini in the innovative approach to design and engineering displayed by this original City Car. It really is a wonder then why it took Fiat quite so long to recognise the jewel they had ready and waiting in their vaults as the world became gripped with a desire to look to the recent past for inspiration. And into the maelstrom of 2007, Fiat released their reinterpretation of the original Fiat 500, with some notable changes like the rear-mounted engine being scrapped for an engine in the front, in line with most modern cars. The 2007 Fiat 500 was based heavily on the Fiat Panda, keeping many of the Panda’s popular features, such as the centre dash and gearshift lever. The new 500 was available with over 500,000 personalisation combination options, such as exterior and interior colours, and trims, a way to set your car apart from the rest whilst still providing Fiat with an extra pot full of cash meaning a win win situation for buyer and manufacturer alike. One of the reasons behind the incredible success of the 500 is surely down to the respectful work that Fiat’s designers and engineers completed whilst getting their all new city car ready for launch. The original Cinquencento measured just over 9 feet long, and was powered by a 479cc two-cylinder engine and yet could transport it’s occupants across Italy in relative comfort whilst displaying impressive levels of economy. Despite its small size, the Fiat 500 proved to be incredibly popular meaning that almost four million were produced from up to 1975. Taking their inspiration from the classic original, the new car was slightly larger in every dimension due to modern considerations towards safety and comfort whilst making sure that the all new exterior referenced the car upon which it was based. The result is of course, instantly recognisable as a Fiat and has certainly hit a chord with the car buying public at large, indeed, when the 500 is finally removed from Fiat’s line up, it’ll certainly be looked back upon as a design classic for many years to come. Between 1958 and 1960, Fiat pleased horsepower fans all over Italy by releasing a ‘sport’ version of their ever popular motor which kept the same 499cc engine, lightly tweaked to produce a quite staggering 21.5bhp and a solid metal roof rather than the canvass covering of the first generation and arriving on the forecourts in a superb cream colour scheme with the addition of sporting red pin stripes. 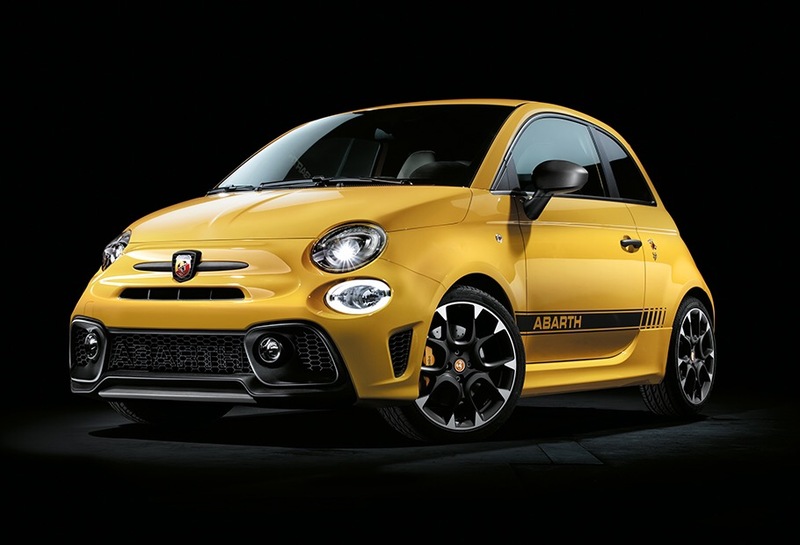 And in a curious twist of fate, a few short years on from the Fiat 500 relaunch came the all new ‘sport’ Cinquencento, arriving this time with an Abarth badge and a 1.4 16V T-Jet engine delivering 140bhp. For those consumers not wanting to experience such a fantastic machine as the Abarth but still want to relax into a Fiat 500 then there are still choices to be made. Fiat’s Jewell like engines range from the 0.9L TwinAir Sport with it’s economical 85bhp twin cylinder marvel, 1.2 and 1.4L petrol editions and the obligatory 1.3L diesels. Each engine offering something different for the driver, allowing them to find a combination of trim and engine that will suit their needs and yet still allowing the range to remain instantly recognisable to all. A clever trick indeed. Driving wise the 500 is, as it has always been, an extremely fun car to spend time in as the steering is light and accurate, whilst the compact dimensions make driving in and around town, surely the Fiat’s natural habitat, supremely easy. On twisting roads or on the motorway the 500 is able to hold it’s own amongst the larger, bigger boys and still provide economical and efficient transport. And it’s not just as a new buy that the Fiat has proved popular as the 500 is a great used buy as well. If you quickly dismiss the naysayers stuck in the past with their outdated views on Fiat then you can find yourself with an excellent and stylish motorcar. You could even stick on a private number plate and leave the neighbours guessing as to the age of that new car on the driveway. A quick glance through the classifieds brings up a huge variety of 500s meaning that finding the exact model you want shouldn’t be too troublesome. How about a 1.2 Sport 3 dr with 74,000 miles on the clock for £2699 or an immaculate 64,400 mile 1.2 Pop 3dr for £2900? For those than can stretch their budget toward the £5k mark then the choice opens up even more. My choice? A 62 plate 1.2 Pop 3 dr at just 17,000 miles old and sitting pretty at exactly £5000, unbelievable. With a brand new 500 Pop 1.2 69bhp starting at only £11,490 and the sporty Abarth at £15,090, this really could be the best time to indulge in the original City Car and enjoy.